I recently published articles on Social Proof and Scarcity, two of the most powerful forces when it comes to human decision making, and thus marketing and selling. Another equally important concept is Reciprocity. I think reciprocity, more than any other technique, is one every online business owner needs to master, especially if your platform is built on your personal brand. Reciprocity in social psychology refers to responding to a positive action with another positive action, rewarding kind actions. 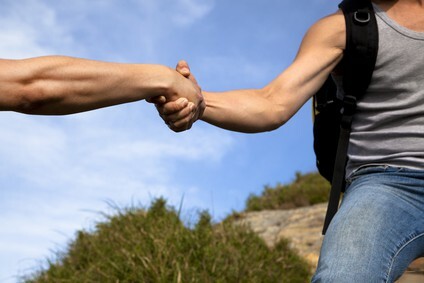 As a social construct, reciprocity means that in response to friendly actions, people are frequently much nicer and much more cooperative than predicted by the self-interest model; conversely, in response to hostile actions they are frequently much more nasty and even brutal – Wikipedia. In other words, do something nice and people will feel compelled to do something nice for you in return. We all know what this feels like. It’s innate to all human beings to feel a strong sense to reciprocate with someone who made us feel a certain way with an action that will make them feel the same. If they treat us well, we want to do the same. If they treat us bad, we feel like dishing something negative back at them. You can’t deny these feelings, but you certainly can learn to spot the triggers and then choose how you react, especially when it comes to negative reciprocity. One bad deed that you attempt to “pay back”, or even just one person complaining about you, leading you to complain about them, creates a spiral of negativity that can drag you down to horrible, even violent places (many of the world’s conflicts continue because one group constantly seeks retribution from another, and vice versa ad infinitum). Learning how to control your internal dialogue in response to negative actions, is a great way to stop yourself from reciprocating with the same. That however is not the topic of this article. What we want to look at now is how Reciprocity, in particular positive actions, can lead to more traffic to your website and sales of your products and services. I didn’t realize it at the time, but one of the first places I enjoyed the benefits of reciprocity was as a result of conducting podcast interviews. I interviewed prominent people in my niche, which while providing great content for my blog, also provided exposure for the person I interviewed. Not only did this open a dialogue between us, it also triggered reciprocity. 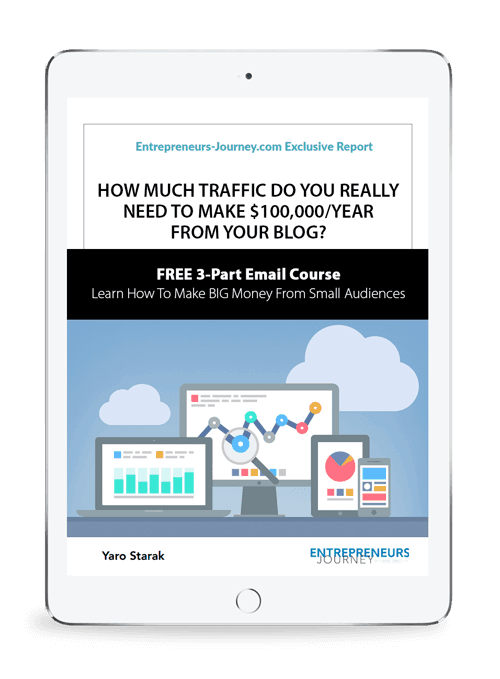 When it came time to ask for certain leading bloggers to promote my free report, they all agreed because they felt they “owed” me for helping increase their exposure thanks to writing about them, interviewing them and other things I did to help them. Obviously there are a lot of subtle elements when it comes to any relationship, but you shouldn’t underestimate how effective just doing good deeds for other people can be. It’s possibly the best marketing technique available online because you can use it to get the attention of virtually any person AND even make them feel a sense of debt to you. This guarantees at the very least they will pay attention when you ask for something. Writing a blog that provides value is an attempt to generate reciprocity from your audience. By giving great content you are helping people and that in turn leads to them liking you, trusting you, and makes them willing to do something for you as a way to return the favor. That sense of wanting to return the favour often comes into play when it’s time to make a buying decision. Affiliate marketing, especially for a blogger, is driven by reciprocity. I can’t tell you the number of times a person has bought something via my affiliate link and then told me they did so to return the favor for helping them with my blog and free reports. Reciprocity comes into play any time you do something for another person. I present on stage at an event, or do an affiliate promotion for someone, and that makes them much more likely to want to return the favour in the future. Reciprocity is so strong that people will often say “yes” to a request after you have helped them, just to not feel the sense of guilt that comes from refusing to help. Of course reciprocity is not to be used as a tool to prey on people’s emotions just to get what you want. Positive reciprocity is generated best when you do things not expecting anything in return. Intent behind actions matters too. Reciprocity is a two-way street, so you have to be careful sometimes before you implement marketing techniques that may benefit you short term, but in the long term can do more harm than good. For example, when doing a launch with lots of affiliates supporting you, some of them are going to expect you to return the favor when it’s time for their launch. For all kinds of reasons you might not want to promote their product (the product doesn’t suit your audience, it’s poor quality, you have a schedule conflict, you just don’t want to promote too many things). If the affiliate made a bunch of sales of your product, you will find it hard to resist the influence of reciprocity and will want to support them too. If you suddenly find yourself feeling indebted to lots of people, and you decide to say yes to them all, you risk damaging relationships with your own customers by promoting way too much and too often. This then reduces conversion and thus you struggle to return the favor of making sales for your affiliate partner’s products anyway! If you decide not to reciprocate, you trigger the negative form of reciprocity. There’s a very good chance that a person who expected a favor returned after helping you will never support you again. They may even go so far as to bad mouth you to others because they are so upset. As you can see, reciprocity is a powerful force and used incorrectly can cause possibly more damage than when used as a force of influence to help you achieve your goals. That’s why you need to be careful whom you say yes to when they offer help, and when you help, do not expect anything in return. Balance and a giving mindset without an agenda wins. Here are some practical techniques you can implement to invoke positive reciprocity from any expert you are trying to get in touch with (and yes you can try using these techniques on me if you like!). Write articles that specifically focus on or at least mention a person you are attempting to connect with. Of course make sure the article is valuable to your audience, but if you can draw in a certain expert by mentioning their work, especially if you are positive about it and send them traffic, your job is done. Try repeating this many times if you really want to grab attention. Podcast interviews are still effective tools to generate reciprocity. It can work either way – you interviewing someone else and sending them traffic, or you be interviewed by them offering valuable content. Just bear in mind certain people will view an interview as doing a favor for you depending on who you are interviewing and what you can offer in return. Ask a person what problem they are grasping with right now and then offer to help them. You can’t necessarily help everyone, but maybe you just happen to be the right person for the job. Offer them access to your resources, give them your software, build them a website, write some copy for them, set up their blog, do research for them… just find a way to create value and then give it to them. You can try the following techniques to influence your audience and elicit positive reciprocity. The more you do of the following, the more people will buy from you and recommend you, which helps with both traffic and profits. Best of all, if you do this without asking for or expecting anything in return, you will reap rewards eventually – it’s like a law of nature. Plus you get to enjoy giving just for the sake of giving (yes it really is Christmas!). Give away your best ideas. This is still the single most powerful form of reciprocity generation I have ever come across. Package up your best ideas in complete resources like free reports, video series, audios, ebooks, books and physical study materials. The more all-in-one solutions you provide in easy to consume formats, the more people will feel indebted to you. Be prolific in both content volume and media format. By delivering your best ideas in easy to consume and complete formats using all types of media (text, audio, video, physical and digital), and making it all available at the most popular sites (google, itunes, amazon, youtube), you reach more people. Over deliver beyond expectations that you originally set. If you set a certain expectation, then exceed it and do it in unexpected ways. Do this often enough and people will start to evangelize. There’s no greater form of reciprocity from your audience than when a community forms around you and you become part of the common vernacular in your industry. Give rewards. Offer coupons for discounts, free products, invitations to events, gift vouchers – anything that will surprise and deliver value. This of course needs to be perceived as genuine value and not just a “marketing” trick, so make sure you work within your audience’s expectations. Don’t forget, once you have established some good will with reciprocity, it’s important to “cash in” at some point. Sure you go into this expecting nothing in return, but at some point you will need to do things to help grow your business, so don’t be afraid to ask for help. Again, do it expecting nothing, this is not meant to be seen as a “I scratch your back, you scratch mine” relationship or the true heart of reciprocity is lost. You can ask for links, or guest posts, or JVs, affiliate promotions, interviews, opportunities to speak at events, access to contractors, free products and services – anything you currently need to help your business. Just make sure the magnitude of what you are asking for is within the realm of the help you provided initially to invoke the reciprocity. If you really do over deliver, you will find people come to you offering to reciprocate without even being asked for it. I’ve enjoyed this experience thanks to my blog many times. It can be one of the most heart-warming experiences that comes from sharing your ideas online. Reciprocity should not be a hard concept to grasp. We all understand it. It’s also an easy technique to implement because all people who are sane of mind enjoy the experience of helping others. The challenge, as with most things, is not letting all the reasons that stop you from contributing to other people’s lives get in your way. Laziness, fear, jealousy, low self esteem, poor choices – all of these things can stop you from doing the work necessary to help others and trigger reciprocity. Using Social Proof, Scarcity and now Reciprocity, you have some of the most powerful marketing forces available when selling to humans. Use it wisely to help others in mutually beneficial relationships and you can have a pretty incredible business. Thank you Yaro for your article. I just (6 weeks ago) started a new blog, and my biggest source of traffic has been so far through doing guest blog posting. I am even pleasantly surprised that well established blogs accepted to publish my posts. I made sure to appeal as much as possible to their readership, i’m sure that helped. I think the guest post technique is still one of the best available to new bloggers because nearly all websites are content hungry. Even if you don’t get a lot of direct traffic from a guest post, the SEO benefit from a consistent campaign definitely works. I agree with both of you about guest posting. Do you have any tips on how to get an opportunity for guest posts? This is my next approach to improving my influence as I sharpen my writing skills and hope to find an outlet. Yes, Yaro I do believe that Reciprocity indeed is an interesting technique that online business owners can learn to master, or need to master. I do think that for that it can be helpful to have at least some idea about what’s the other person is about, and I do believe that reading someone’s blog ((e)book, free reports, podcasts etc. etc.) can be helpful with this. Then when you also discover similarities in interests, and things people are enthousiastic about, as you recently wrote about in your post about Searching for Enthousiasm, I do believe it can make it a lot easier to be able to understand each other. Only I do think that even than it’s not a guarantee that some kind of Mutual Support is alway’s obvious, easy to discover or to organise, because of all kinds of circumstances, like for example different schedules, different motivations, different knowledge – and skill levels, etc. etc. That’s a good point HP. Similarities certainly help the process of liking someone, which then makes reciprocity more likely. That’s why having the right target market is key because they are more likely to pay enough attention to your work and find value from it to reach the point where they feel they know and like you. Yes, indeed with a more clearly defined target audience in mind, it becomes easier to position a blog or a niche site. Currently I still find it somewhat difficult to get a good grasp on positioning my blogs. Also I do think that most people belong to multiple target markets at any one time. Very well explained ” Power of Reciprocity”! I started my blog with the motive of making big money. Soon, I realized it is not really about money. Here, relations are the key, because at first the online part is very untrustworthy for the common man. As a result, when relations are made, they are usually strong because by that time both parties must have broken the wall of the mutual distrust. When I help somebody, he does help me back. I have seen this every time I have interacted with anybody. Such is the nature of man! 🙂 God has made us really cool! The thing to remember when employing reciprocity is to set boundaries and to have a clear agreement with affiliates. This way, marketers don’t have to respond beyond the call of duty. Marketers will also need to remember that they’re looking out for their product’s best interests and any act of reciprocity that compromises these would be counter-productive. I had never viewed reciprocity as a technique for successful blogging. Although I’m not surprised now that I think about. Blogging is built on reciprocity, even in a linear form. Example: I interact with your blog. You appreciate that. You interact with another blog. They’re appreciative…and so on…until it comes full circle. Reciprocity is not just a back and forth between two parties. Excellent article. I really like the ‘give away your best idea’. Sounds like a solid was to generate some return favour. Exactly Steve. People are time poor, but when the motivation is strong, people find the time, that is a fact, so you need to find ways to motivate. Reciprocity is one of the best motivators I know of. Hi Yaro, I’ve always known you as a man of vigor. One thing i like about you is how honest, informative and comprehensive your post use to be and this one is certainly not exceptional. I’ve learnt a lot from you so far sine i started following your blog. What does it take to guest post for you? Hi Theodore, I’m getting mixed messages from your comment, perhaps it’s just the grammar isn’t quite how you want it to be? As for guest posts, I’m not taking any presently as I’m back focusing on my own writing here on EJ. Unless something exceptional comes up from someone I know, I’m saying no to guest posts. Very good. And – as you hint – not always a good thing. I can’t help thinking of the presidential elections in the USA, and the amount of mutual back-scratching that seems to end up paralyzing even candidates with good intentions. I think in it’s purest form reciprocity isn’t about playing a game, which political back-scratching seems to more the case. It’s “how much can you get from others and what do you have to do to get it”, rather than “I just want to help others for the sake of helping”. There’s a key difference there. ‘Help one another’ I think is Oh so important, by answering questions before trying to push a sale is far more constructive. Give freely and normally you will receive (when you don’t expect it). Although once the sale is in motion and has momentum keep the scarcity factor alive. Right Joan. I remember at one stage reading about certain entrepreneurs who would set up a sales page and make a live chat function available for any questions that came up as they read the page. If a person activates the chat then they are obviously interested in buying. By responding to questions and even offering advice on the live chat you are much more likely to get the sale. The timing is perfect in this case so the entrepreneur can earn an immediate result from helping someone. Thanks for the great post. I have been struggling to decide whether or not to sell my first eBook or give it away for free. However, this post has certainly tipped the scales once more by confirming that giving a product away (which I’ve spent months on) would lend itself to this concept of reciprocity. And it’s a great way to build a list! I’d say give it away – especially if you don’t already have a bunch of stuff you give away for free. If you need to build your list, then chances are whatever you create now can do more for you if you give it away because it will help you build an audience. If you choose to charge money for it but don’t have an audience, then obviously you won’t make sales. There are so many people who do not deserve any favors. When you look at it, it might be a large overwhelming majority. What to do with them? Would you still help people whom you know do not deserve your help? How do you decide whom and when to help and when not to? Be nice, and remember – what does around comes back around! If you can find ways to help people without the marginal cost on you increasing per person you help, then you can help everyone – those who “deserve” it and those who you think don’t (which is always going to be subjective). For example, if you write a blog or release a free report, everyone can access it and it doesn’t cost you more for each new person. Really nicely written post. I appreciate the nuances you point out. First of all, a very big thank you for writing such an interesting article. Your newsletter just reached on the perfect time. I have been brainstormming for the last 2 days to get an article idea and I think “giveaway” can be a great topic. I had suscribed ur newsletter a month ago. And, since then I have been getting a continious flow of quality information. The concept of reciprocation can seem a little alien online when first starting out. I certainly found this to be true and was unsure if the actions I was taking were having any real affect. I have come to believe that reciprocation is a piece of the jigsaw towards building an audience and trust. Thanks, you have motivated me to blog more regularly and push my personal boundaries. I do agree with you Yaro, Reciprocity has helped me build a rather different clientele than what i initially had planned doing on a couple of my websites.The only bad side of it regards to my personal experience is so far am benefiting from it without getting to know who refers most of my clients to me so that atleast i can return the favor. Where i come from it is very hard to build an online presence nor start a successful membership program since most of the population are not into such and prefer spending most of the time on social networks but a few good deeds i did for some people have helped me earn from outsourced jobs which has left some of my sites in a bad shape…..bt love the fact that i can still earn from working only 4hrs a day or less depending on how i feel that day! I use Paid and free traffic and it works reciprocation is like duplication and alot of the is online stuff is not duplicable……..
Yaro you have never failed to deliver good article, each and every article you bring up here are always inspiring. With your milky articles, I am growing stronger. Milky, haha, that’s a new one James. Thanks! Such a simple concept, and yet sometimes, in our haste to build our business, we forget. It all comes down to loving people, and sincerely wanting to help them. This, in turn, builds relationships. Best example I know: The guy who owns the neighborhood grocery store. He helps his customers, sometimes even extending credit. Everyone knows and trusts him. They give him their business gladly. In my experience reciprocity is really powerful. I always think of it when I want to approach a joint venture partner but may be scared because of rejection. When you focus on “what’s in it for them” , you immediately start thinking as a giver, and it helps you come up with all the great benefits you bring into collaboration. This is so true and something that’s crucial in 2012 and looking forward. E.g, an email subscribers list is not worth much if there’s no good relationship between the list owner and the subscribers. This post has been very inspirational for me, I am very much a newbie and I need to get the mindset of giving back to people and developing authority before I can expect to see any kind of success. These days especially on the internet trust is a hugely valued commodity and so therefore I am trying to do everything I can by updating my blog with rich content. The readers will soon come when they see I am not just trying to sell sell sell! My blog is only a few days old but I am already buzzing with ideas. Great post Yaro! I understand what goes around comes around, in other words, Givers Gain. But sometimes no matter how much you may help, promote, respond to others content, sometimes not all the time, they never reciprocate! Yes, there sometimes comes a point when they have no choice but to respond, but without adding pressure what’s the best policy? It’s also worth a mention of the book “Influence” by Robert Claidini. I’m reading it now and reciprocity is a core theme and really falls in line with what you are saying. Yaro, this rule is as applicable online as it is offline. Whatever your “business” is I think reciprocity is a great way to live your life. This is one of the key messages in one of the best selling books of all time on “how to win friends and influence people”. I like your take on this approach for you journey. Thanks for another great posts. And the appreciate the 5 points you have suggested about creating values for users. Hi Yaro, Thank you for liking my post way some weeks ago. Don’t know how you came upon it. I’ve recently subscribed to your mail and am overwhelmed by the principle you live by to give something away free when you can. The first emails have been truly powerful. I hoped to put them into pracitise (and will do so soonest) – but after reading that Clickbank post check payments to South Africa, am stymied. Our postal service has just about been bankrupted because staff steal post in search of checks. They even open Christmas and birthday cards. So payment by check is out of the question. Yet the product I want to sell fits in with the rest of what I do (I train indigent farmers to run farming as a business). Nevertheless, please keep the emails coming. They are way-awesome. I’m 61 years old and loving every minute of upskilling by emails, and looking forward to implementing the principles. This post is a perfect example of the of the power of Reciprocity. I feel your sincere intention to help and provide value. And as a response, people like me will TRUST you and will always be on the look out for opportunities to return the favor. I think reciprocity is really powerful if you are doing online business. As a blogger one are that reciprocity can really help is in the area of posting and replying to comments. When you visit consistently visit a blog and post comments on that blog the blogger will be moved to also visit and return that gesture. Also as a blogger when you reply to comments it can help the readers to see that you care about them and therefore more open to visit more. I know this *really* smart guy who lives in Australia. He knows all about how to build online empires, and he helps others do the same thing. I like him. A lot. I posted comments to his blog for a while because I enjoyed learning from him and resonated with his audience. I also intended to add value to his community. The free, brilliant content he offered me, hell, THAT was the gift. That’s what I got from him. Wouldn’t you know, after I asked this celebrity to review my lil old eBook, that he responded? I mean, if he could or could not review it, I told him, no worries, but please ask me, how I could help him. Of course guys, Yaro is that brilliant Aussie. You understand this idea and explain it as well as anybody….especially the brilliant advice of being in too deep. I promote folks, and help them out, if they are resonant with my audience. If they are not – even if they have promoted me in the past – I don’t promote what does not resonate with my audience. If they want me to scratch their back after they scratched mine – and I do get lovely emails like this 😉 – I intend to suggest that they buy a back scracther 😉 Only because, I can help in a certain number of ways, but I am not indebted to do stuff for 1 good friend, which may confuse my audience. I even suggest that they can lash me with a wet noodle if they’d like, but the funny part is, folks who are upset me, were never friends in the first place. They were conditional givers. As I’d been in the past, when I was really out of alignment with what I was doing online. Thanks Yaro, this was a brilliant explanation of a misunderstood topic! Great post Yaro. I was actually just reading about this exact thing in the book Cashvertising. If I were a local business, I think doing something along the lines of sending out gift cards to people who just moved to your city is nothing short of genius. Can you imagine moving to a new city and receiving a coupon for a free pizza from some local pizza place? I can’t speak for everyone of course, but if the pizza was good I personally would almost certainly end up being a repeat customer. Great post Yaro. I agree with you, what goes around comes around. If you do make a positive impact in someones life or business, you’ll be rewarded sooner or later. Thanks for writing this! I think it’s incredibly important to help others when they need it, we were all in the same boat of ‘beginners’ at one point. As we move to another business, you really get that newbie feeling all over again. Great to help people, thanks for the great post! This is an awesome article. I read the book “The Go Giver” and it talks about giving more that you take. The funny thing about helping others out is that they want to help you out in return. Thanks for the great post. Hey Yaro – I’ve been following you since your early podcasts. Seems so long ago. I like how you’ve adapted Robert Cialdini’s Law of Reciprocity in your work – providing helpful, usable content to your audience, creating a sense of debt owed (without really setting out to) by those you’ve interviewed, and remembering to get paid every so often. I’ve adapted reciprocity when meeting people – like when speaking at marketing events. Probably like many others when meeting someone for the first time, I used to keep thinking about what I wanted to say about myself – often missing out on what the person in front of me was saying. Often, I couldn’t even remember their name because I was so absorbed in thinking about what I would say. I changed all this around to make the encounter “about them”. Now, instead of missing much of what they say, I now purposely try to start the conversation by asking them “about them” – get them to open up a bit. This way, I actually get to know them – including being able to recall their name. They almost always want to know about me right away. And, if we’ve run out of time before getting to me, they tend to track me down at the next break to find out about me. And, it’s led to some nice business. You content is among the best on the Internet for not only succeeding in online marketing but life in general! I totally agree that a ‘giving mindset’ is a prerequisite for success using the techniques you discuss. Add the element of enthusiasm and immediate results and you have a recipe for growing any business. Keep up the great work! Your content is always enlightening on a personal and professional level. Thanks. Thank you for posting Yaro. Very informative and you certainly were able to draw me in from reciprocity 🙂 As a form of my thank you, can I send you a neck pain relief product that I am about to launch on kickstarter? As a PT, I designed it specifically for people who sit behind a desk all day and could use some neck pain relief. Would love to get your feedback. (This is not intended to be spam so you can just email me back if you are interested.) Thank you again! Thanks for the offer Dr Steve! I use a stand up desk and I also move around a lot during the day (no office for me), so I can’t remember ever getting neck pain, unless it was from sleeping with bad pillows.